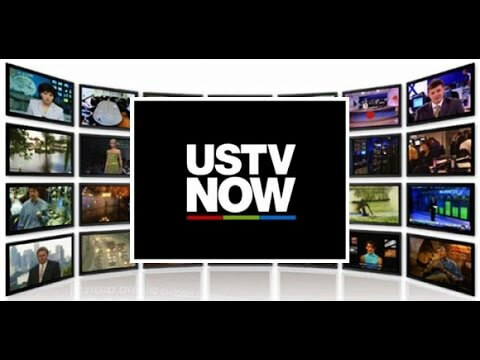 USTVNow is legit. Here is how you can get it. If you want to stream television channels from the US then perhaps it is that you give USTVNow a try. Well, it is a relatively low-key streaming service. The main focus of this streaming service is to make sure that people have access to American channels. 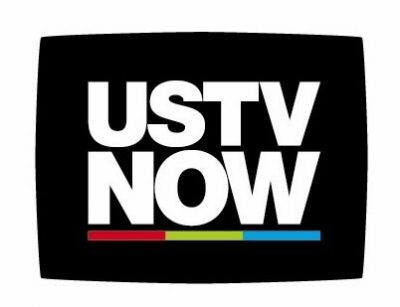 At this moment in time, our research shows that USTVNow offers users pretty much all the mainstream television networks and their channels in the US. Even if you sign up for a USTVNow basic account which comes for free, you can access all the seven channels that we have mentioned above. 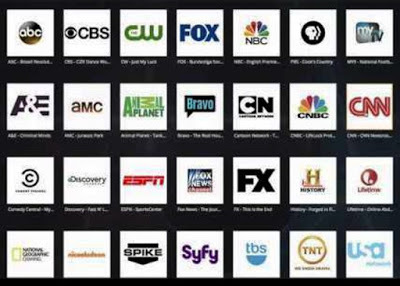 If you want to have access to more channels then you will have to go to the service’s official website and then sign up for a paid subscription package. Perhaps this is as good a time as any to mention that there have been Kodi streaming services that have gotten into legal trouble for streaming over-the-air television content and related channels for free. We are talking about other streaming services such as Aereo who have faced some pretty stiff challenges in that regard. USTVNow seems to have gotten around that problem. The streaming service does not shy away from mentioning that it pays for all the content that it streams for its users. Of course, you are more than welcome to not make things more complicated than they need to be. At this moment, our research shows that one of the best ways anyone can watch American channels and other network content at zero cost is via USTVNow regardless of the user’s physical location. Kodi has a robust USTVNow video add-on that enables Kodi users to cut the cord for real this time around and hop on to the online streaming wagon. Using the USTVNow Kodi addon, users can watch all of their favorite movies and TV shows without any subscriptions or monthly payments. By making use of this Kodi addon, Kodi users can also completely centralize all of their online viewing habits (at least when it comes to video content) into a single and convenient place. For most of the privacy conscious Kodi users, USTVNow is perhaps the best Kodi addon for sports and other things for the simple reason that it offers 100 percent legal content. This also makes USTVNow fairly safe to use for Kodi users who do not want to bother with checking whether the content they are viewing is pirated or not. As mentioned before, the content is free. So Kodi users on a budget also get to have their dreams come true. In this guide, we will take a look at all the steps that you need to take in order to install the official USTVNow Kodi addon for free video content. We’ll try and do that with the help of a simple step by step guide. Along with that, we’ll give you some more tips on how to stay safe online while streaming content from Kodi. To start things off, we suggest that you go ahead and make sure that the version of Kodi you are using is indeed the latest one. But even if it is not, you do not need to worry. You can either download the latest one from the official Kodi website or you can continue with your current version. If you run into problems you can always use the comments section here to let us know your problem. Click here if you want to spend some time reading a pretty detailed guide on how to install Kodi and the common problems that you might face while doing that. This guide is for Kodi itself and not for the add-on. Once you have managed to install Kodi on your streaming device of choice, you need to continue reading below about how to install Kodi video add-on USTVNow. Disclaimer: We have written this guide for the purposes of information and help only. The software that we have mentioned in this guide is available publicly. Security Gladiators does not condone nor supports piracy. And hence we do not bear any responsibility of what a reader might decide to do with the information that we have provided in this guide. Also take note that Security Gladiators does not develop, produce or host any of the applications that are mentioned in this USTVNow Kodi addon guide. You probably did not hear this recommendation a couple of years ago. But now it is everywhere. Well, it is because as the years roll by it has become more and more difficult for people to protect their identity and data when they go online. And Kodi users are no different from those people. Our research shows that Kodi users who do not take the time out to properly protect themselves with the help of a good Virtual Private Network service or VPN, have to deal with the possibility of receiving notices of copyright infringement from either copyright trolls or their own internet service providers especially if they make use of certain Kodi add-ons. If you want to make sure that you are able to make use of Kodi with all of the features that it offers to Kodi users freely and safely (away from all the threats such as copyright lawsuits and others) then you really have no choice but to sign up for a good VPN service. Now, the VPN industry offers users a lot of options at this point. And because of that, it can become difficult for users to know which VPN service they should go for. Therefore we have written a guide for you which lists all the best VPNs for Kodi. As for VPN services themselves, you should know that currently, a VPN service is the only complete solution for all your privacy woes. Our research shows that it is pretty much the perfect safeguard for all online consumers who are just sick of malicious hackers and government agencies tracking them down and recording their every online move. VPN services not only protect users from any and all intruders but they also make sure that you are never visible to people who have too much interest in pushing their nose around and trying to know more about your private online business. Apart from that, VPN services offer terrific options to people who want to access content which is either censored or blocked. Kodi users need this leading privacy solution as well. Simply put, sign up for a good VPN for Kodi if you want complete digital freedom. Again, if you do not know which one you should sign up for then click here to read our comprehensive best VPN for Kodi guide. Almost all the good VPN service providers offer money-back guarantee periods. So you do not have to take any risks if you feel like trying out a given VPN for Kodi. Moreover, remember that the longer you sign up with a particular VPN service, the more discounts you can get. And make sure you sign up for and use a VPN service before you actually start streaming content on Kodi. The fastest method to install Kodi addon USTVNow right now. We want to let you know straight off the bat that the process of installing USTVNow is a bit odd when compared to the vast majority of other Kodi addons. The procedure for complete installation is as easy as ever. But Kodi users have to take a few extra steps in order to access content that is not only free but also legal. Mainly, you will have to go to the official website of USTVNow and then create a free or paid account there. Remember, even if you create a free account, you get access to many channels for absolutely free. Here is a list of things that you will need in order to get started. First, you will need to sign up for an account with USTVNow. Either paid or free. Any would do. Then you will need to install the Kodi SuperRepo repository. After that, you will have to install the official USTVNow Video Kodi add-on via the official SuperRepo Video add-ons Kodi repository. Go to the official website of USTVNow by clicking here and sign up. Then take a look at the button Get This Plan. Click it. This should be easily visible under the column that says Free Channels. The next step is for you to create a free account by entering and submitting the relevant information. One piece of advice that we want to give you here is that you must not make use of your Google or Facebook account to sign up with USTVNow. We say that because if you do integrate USTVNow with your Google or Facebook account, the add-on will actually block you from ever logged in by when you are in a Kodi add-on menu or screen. The reason for that is that Kodi makes use of a slightly different method for authentication then Facebook or Google. That, of course, does not mean that you have to create a completely new and legitimate email account to use with USTVNow. You can use your Facebook or Google email address. But just do not use the buttons that appear towards the top of the screen that allows you to sign up with your social accounts. Just register with email rather than Gmail or Facebook. Make a habit of entering your registration information in a manual way for more security. The other thing that you need to note here is the country that you may choose when you are completing the registration form. Be mindful here since only American citizens along with United States passport holders are allowed to make use of USTVNow service in order to watch American television even when they are abroad. 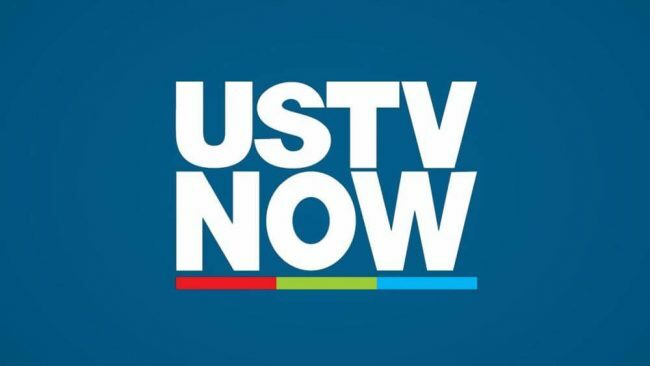 USTVNow clearly mentions on its official website that at the time of registering with the service, the user has to be a resident or US citizen to actually watch US programs. However, the interesting bit is that at the time of writing this report, we did not see a verification process in place to check if a user is indeed a US citizen. Take a look at the activation email sent by USTVNow. If you watch to search for it then search for the term Account activation. If you still can’t find it, check the spam folder. The link should take you to the validation page. From there you should receive the message of successful activation. Log into the new USTVNow account with the help of the Kodi addon which you will learn how to install in the next few steps. As an optional step you can also verify if the new account you created has been successfully activation. To do that click here and log in. If you find that the service has not activated your account then click a menu option (any one) that you see on the page on the left-hand side. Once you do that, USTVNow will send you another activation message with the related directions. Once you have managed to activate your USTVNow account you should get ready for the next section. At this stage of this guide, you have a new and free USTVNow official account. You have also managed to set it up nicely. In the beginning, USTVNow will also allow you a free trial period during which you can watch all the 30 channels available on the platform. Once that trial period ends, so will the channels. As mentioned before, the free account will give you access to only seven broadcast channels. Let’s move on to the phase where you install USTVNow Kodi addon. We will assume here that you have an activated USTVNow account. Now you need to turn Kodi and use any kind of input device to interact with the application. As far as this guide is concerned, we’ll assume that you have a mouse and keyboard available as input devices. If your mouse does not work then you can always use the keyboard to get to the right option. Fundamentally, you need to do two things here. First, inform Kodi of the place where it can find your desired add-on. This is the step that the community calls as Installing the Kodi Repository. Secondly, after Kodi has learned where to find your desired Kodi add-on, you must install the said Kodi add-on. First, install the Kodi SuperRepo Repository. Doing this will allow Kodi to have access to the official SuperRepo Kodi video add-on repository. Then you need to install the related Kodi SuperRepo Category of Kodi Video repository. Once you do that, you should have access to the USTVNow Video add-on. Then all that you have to do is to install the above-mentioned video add-on known as USTVNow add-on. From the main screen go to System Settings. Click the icon in the shape of a gear in the top-left corner of the Kodi screen to do that. Click on the folder icon that allows you to have access to the File Manager. Hit <None> after click in the dialog labeled Add File Source. Now you have successfully added the SuperRepo Repository to your Kodi and its source of files. Go to the dialog box that says Edit File source. From there, click the Enter a name for this media source option at the bottom. Kodi will now take you back to screen where you selected File Manager. In order to make sure that you have saved your changes, look for a folder that represents the newly added repository. If you took our recommended name then you should see a Super Repo folder. Congratulations. Now you have added the Super Repo repository to your Kodi setup. In other words, you have installed it. What you did in the previous section was to install Super Repo repository. Now you will install the SuperRepo Video addon repository. This thing also goes by the name of SuperRepo Category Video repository. Let’s move to the critical step now. Understand that the Kodi add-on that you want to install (USTVNow) actually resides in the above-mentioned SuperRepo Video Add-on Kodi repository. If you do not have access to this repo then you cannot find USTVNow Kodi add-on. Click Add-ons on the left-hand side. Click the icon in the shape of an open box. It is called the Packages icon. Sometimes you will see this step written as go to home, then to add-ons and then to add-on browser. Now Kodi should show you the successful installation of add-on message in the upper right corner of the screen. Now you have managed to install the SuperRepo Video add-on Kodi repository. The only step left is to install the official USTVNow Kodi add-on. Step by step guide on how to install USTVNow add-on for Kodi. We will assume here now that SuperRepo Video Add-on and SuperRepo are installed on your Kodi system. You should have no problems in accessing the official Kodi add-on USTVNow. Run Kodi and make sure you are on the home screen of Kodi. From there we want you to click on the option that says Add-ons. Once there, we want you to click on that old Package icon again which appears in the top left corner of the screen. Now you should click the option that says Install from repository. Once you have done so, you should see the SuperRepo video add-on Kodi repository. Now, hit the option that says Video add-ons. On the new screen, you should see a rather long list of Kodi add-ons. You should scroll down a little bit. If you have a mouse then scrolling should be easy. Just take that cursor to the right-hand side of the screen and drag that blue scroll bar. Keep dragging till you reach the section for Kodi add-ons beginning with the letter U. Then perform a click on the option that says USTVNow Plus. After that, click the option that says Install. Once you have done that you should see Kodi showing you a successful installation notification after a short while in the top right corner of your screen. Take note that Kodi will also automatically install the USTVNow Guide. This is a necessary step for USTVNow to function properly. Now you have successfully installed the USTVNow Plus Kodi video add-on on your Kodi device. Hit the Escape key on your keyboard to go back to the main screen of Kodi. Follow all the on-screen instructions without trying anything that would reset the whole thing. If you have done as the new screens have told you then we have the right to tell you that you have successfully managed to install USTVNow Kodi video-addon.